Grace Institute has been a forward- thinking organization from its inception in 1897. We’ve undergone a number of transformations to evolve with the needs of the workplace, the needs of women and the jobs that are available to them, from cooking and sewing to stenography and now computers and tablets. Today what’s available to women is quite different from what was available in 1897. What does the modern workplace require? Certainly a foundation in hard skills like computer technology, writing, and presentation skills, but also another set of abilities: flexibility, eagerness to learn, problem solving and critical thinking: these qualities are extremely important to meet the pace of today’s continually evolving job market. We offer training for both sets of skills. Because the marketplace is changing so rapidly we incorporate employer feedback into our program. We also look at each participant’s goals to create a better match between the individual, the training, and ultimately the job. This result is the powerful combination of job performance, satisfaction and retention. It’s important to us that our participants get placed in jobs with the benefit of potential advancement and continued transformation. We are seeing our results are higher than other workforce programs. Placement rate is 80% within a year. We’ve graduated our first class from our new Patient Service Representative evening program. As Spring 2017 kicks off we know there will be no shortage of transformation – as the job market continues to change we’ll evolve together. What brought you to Grace Institute? before rushing into the next role. I wanted to grow, so I researched training opportunities and found Grace just a week before the March intake began. Thanks to a quick turnaround on enrollment, I was able to start in March, and graduated in August last year. How did Grace prepare you for life after Grace? My main takeaway has been hugely increased confidence. Grace taught me that it’s OK to have and pursue a passion, and hold out for a role that you feel is the perfect fit for you, but that you have to be smart in how to go after it. For example, when interviewing for a role, take a wider look at the company and read the environment to check whether it fits – if you’re a sociable person and the office is silent it might be a warning sign. For more specific skills, the Business Communications course helped me to refresh my approach in the workplace. I thought I was doing fine with my undergraduate and previous experience, but the course highlighted how even the smallest changes can make a big impact, for example rephrasing an email can help me get my point across more effectively. Finally, and perhaps most importantly, is how Grace has helped me develop my emotional intelligence. Before Grace I wore my heart on my sleeve and let mistakes or criticism in the workplace really get me down, but Grace helped me to reflect and reshape my perspective, and now I view mistakes as something to learn from, and constructive criticism as something to welcome. Tell us about your job search? I’ve surprisingly ended up back at my original company, but in an elevated role that recognizes the new skills and experience I have to offer. My supervisor knew that I had signed up with Grace, and just before graduation she reached out to me for a short-term contract to help with some projects. She was so impressed with how much I had developed professionally, especially my technical skills, that she didn’t want me to leave, and used my new skills as a basis for convincing the executive leadership team to create a new manager role. What is life like after Grace? In the office, I’ve noticed a shift in my relationship with my supervisor, and being able to teach her new skills learned from Grace has made us more equal partners. As mentioned before, my improved emotional intelligence has made me more open to learning which will be invaluable moving forward, and Grace has helped me process and deliver information more effectively too. 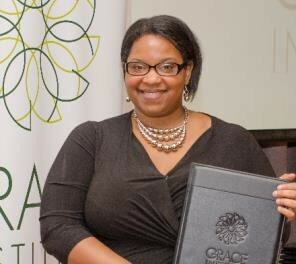 I’m still involved with Grace after being selected for a co-facilitator role in the Participant Assistance Department. This has been really valuable, and I feel like I’m able to give back to Grace by offering participants a source of support and open space to talk about what’s going on in their lives. I also keep in touch with friends I made while at Grace, and it’s been great to see how things are going for them. I even managed to assign a month’s temp assignment to a friend, which was great! How do you juggle/prioritize all that you have going on in your life? Being a Mom means balancing personal life with class and work can be tough at times. Grace was great, they were willing to be flexible when I had to leave early to pick up my daughter or bring her along for a while. This has continued in my current role, with my supervisor and I agreeing on an adjusted work schedule to allow me enough time to be a Mom, which I might not have been able to secure without the confidence built at Grace. And finally, it’s amazing to see how much help is available to you if you’re willing to ask, especially when it’s to help you develop yourself. My friends and family have been invaluable in helping me juggle everything in my life, and I appreciate them massively. What brought you to Grace? In 2014, after high school, I moved to New York from Florida. I was very excited but I lacked the self- confidence to get a job. I didn’t know how to write a cover letter or resume. I wasn’t confident – How could I, as a young person, go up against the other qualified people in the workplace? From the first day, the Grace experience was so welcoming, encouraging, inspiring and warm. Throughout the whole program, it has been nothing but a community of sisterhood. Through Grace I was able to get a job before my search got difficult. 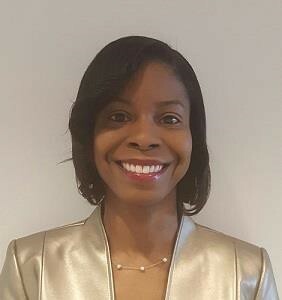 Since I was in the Young Professional program I was able to get an internship at Shearman & Sterling, and I was hired after the third week that I was there. I do a lot of printing, administrative tasks and talking with clients that come in. Everyone has been warm and accepting. My original answer before I started would have been improvement with my hard skills, but I feel the most valuable thing that Grace has given me is the confidence to speak for myself, to confirm that I should be confident and learn how to express that confidence. I have a job that I like now! It’s a little bittersweet, where am I going to find another wonderful experience like my time at Grace? But I do keep in contact with the people that I’ve met and the staff. I feel clear and focused; I have a better idea of how I can go forward with my goals and what I’ve learned. Can you tell us a little more about your role? We want to make sure participants are getting the jobs they want and can thrive in. For alumni services, we work with participants on seeking employment beyond the program, offering ongoing development opportunities to make sure they keep their skills set up to par, and are continually inspired and motivated, as well as helping them to balance professional and personal life.I oversee the employment and alumni services. Employment services interact with participants during and after the program, holding Initial one-on-one meetings to build an employment profile that covers their skill sets, ambitions and interests. Following this issue’s theme of transformation, how have you seen this at Grace? The workforce has transformed over the years, and we need to ensure we’re providing the training that fits with what employers are looking for. There’s a big focus at Grace on feedback from employers and participants alike, and always keen to hear back from participants after interviews even if, and perhaps especially if, they were unsuccessful. We want us and the participant to reflect on and learn from the experience. What first attracted you to Grace, and how have you found your first few months here? I heard about the opportunity at Grace through a friend, and after some research and coming into the office I found I loved the transparency they have on the work they do. It’s almost like a movement, there’s so much passion in wanting to make a difference in the lives of others. Grace prioritizes ensuring that everyone who interacts with participants has the values and passion to help. People come here from so many walks of life, and we want to make them feel like they’re not just a number but feel full commitment to them to help them achieve things they may never have imagined before. Everyone plays a part in this, even alumni. I’m proud to be able to contribute to the organization and make an impact. What would your one piece of advice be to the class about to start at Grace? Before anyone begins at Grace, we want to make sure that they have a vision of where they want to go and what they want to achieve. Here at Grace we have the tools to create a path, and a system to help you walk along it, but it is ultimately up to you to get there. That goal might not be getting a job, maybe going back to school or finding further training, but we can always help you get there. Next, you must remain focused, open-minded and never give up. You won’t always hear ‘yes’ but don’t take failure as the end of something. It’s a life experience and you can always learn from it. Only you know what you’re truly capable of, and you must believe in this and take steps to achieve it. What do you do at Citi? I am a Recruiter on Citi’s Global Consumer Banking team. I recruit for Customer Service, Sales and Management roles within our Retail Banking division. At Citi, it is imperative that we hire the most qualified talent to fulfill our mission in providing the best solutions for our clients and customers. Our employees are our competitive advantage so we are constantly hiring the best and leveraging our existing talent for our current and future business needs. How do you partner with Grace? 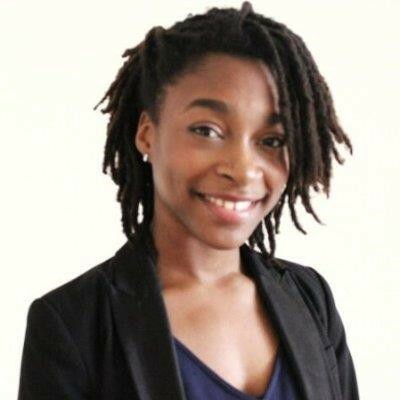 Grace serves as a talent connector and resource for employers including Citi, providing a diverse, skilled candidate pool that is prepared and eager to work. Many of the women who participate in Grace’s programs have prior work experience including administrative and customer service roles. At Citi, we’ve hired graduates not only within our Retail Banking division but also have Grace Alumni employed throughout our organization. Through our corporate partnership with Grace, Citi has been represented in Converse with Confidence events, Monday Morning Meetings, Annual Grace Career Fairs, Mock Interview Sessions, and Grace’s Office Visit Series. During these interactions with Grace women, I share information on the job search and interview process. My goal is to empower them by providing information to ensure that they are confident during the interview process. What do you like about working with Grace? The entire Grace staff – including Brigid Lang, Executive Director, and Kate Vaughan, the Director of Career Services, who we work closely with – are so dedicated and fully committed to realizing the success of Grace women. This is evident when I have discussions with the women about their skills. In doing so, I often learn about their life stories and how their experience at Grace Institute transformed them. I can clearly see that they are not only prepared and dressed for success, but they are also very motivated and proud to be a part of Grace’s llegacy and are looking forward to the next chapter in their career development. 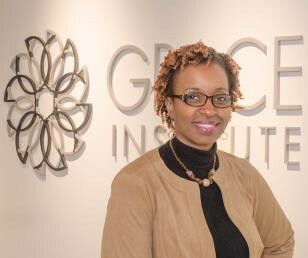 Citi also serves on Grace Institute’s Employer Advisory Board. Being a part of this initiative and discussion highlights how Grace is going above and beyond. Grace speaks with employers from various sectors to find out where the opportunities are and where they will be in the future. This ensures that Grace’s curriculum evolves with the demands of the workforce and graduates are well positioned to take on opportunities.